Palestinian amora of the fourth century, in whose name the following curious sentences on the two most dangerous instincts of man are handed down by the eminent haggadist Huna (Cant. R. vii. 8): "In His world God has created two instincts, that of idolatry and that of illicit love. The first one has long since been uprooted [in Israel]; the second still exists. 'Whomsoever,' says God, 'can resist this latter instinct I shall consider as having resisted both.'" 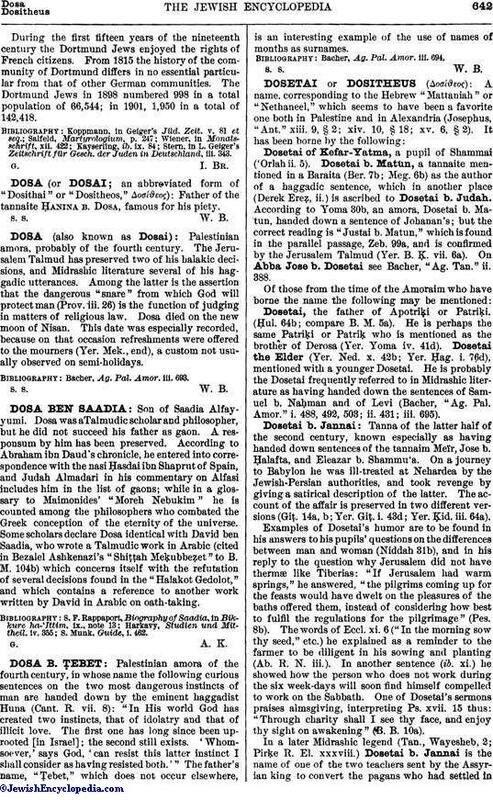 The father's name, "Ṭebet," which does not occur elsewhere, is an interesting example of the use of names of months as surnames. Bacher, Ag. Pal. Amor. iii. 694.